Last week was a good one for the Craft Brew Alliance. The company's stock price reached an all-time high of over $20 per share on Friday. Two days earlier, the CBA released details of an agreement that puts in motion its sale to Anheuser-Busch. Those details are most certainly related. Back in June, I wrote a piece predicting an imminent buyout. The deal announced this week isn't quite that; it isn't final and there are still details to be worked out. But the arrangement is the precursor to a completed deal, make no mistake. The fact is, now is not a great moment for a buyout. In approving its merger with SABMiller, the Department of Justice nullified certain AB practices and told them future acquisitions would receive careful scrutiny. Now is a good time for Anheuser-Busch to keep a low profile. Anyway, the CBA and Anheuser-Busch have been virtually joined at the hip for about 20 years. As one industry publication noted, "it seems AB and the CBA are engaged to be married, after having shacked up for a while." A buyout is imminent unless something strange happens, including the possibility that DOJ could block it. "Collaborative independence" is the phrase both AB and the CBA are using to describe their relationship for now. In this scenario, there are three areas of commitment in place, all of which serve the interests of the CBA. It's quite bizarre, really. Anheuser-Busch will continue as the CBA's master distributor through 2028. Fees remain at 25 cents per case. That's good news for the CBA, which was bracing for a tripling of fees when the old deal expired in 2018. If volumes exceed today's 11 million cases, the CBA will save an estimated $6 million per year starting in 2019, escalating with growth over the contract term. The CBA will have the opportunity to brew up to 300,000 barrels (more than a third of its 2015 output) within AB's network at a cost savings of $10 or more per barrel compared to their current cost. Transitioning those barrels to AB's factory breweries will take a couple of years, after which the cost benefits will gradually be realized. You will recall that the CBA brewery in Woodinville, Wash. is currently leased to Pabst, which has an option to buy it within three years. The CBA brewery in Portsmouth, N.H., might meet a similar fate. Or the CBA could use it to build partnerships with smaller craft breweries, whose beer would be contract brewed in Portsmouth and distributed via the AB network. There are some significant financial windfalls here, regardless of which way things go. The CBA awarded AB exclusive rights to distribute its beer in countries not covered by existing agreements. Starting in 2019, AB will pay a royalty of $30-$40 per barrel, pay production and material costs and reimburse the CBA for out of pocket shipping costs. Until 2019, AB will make fixed international payments of $3 million in 2016, $5 million in 2017 and $6 million in 2018. As an incentive for "international volume development," AB will pay an additional $20 million in 2019. What's $20 million between friends, huh? Of course, there's more. Anheuser-Busch is obligated to carry out all elements of the new agreement unless it makes a "qualifying offer" to purchase the CBA and the CBA rejects it. At that point, AB could reconsider any or all of the agreement. What's a qualifying offer? I'll get to that. Just remember AB's only way out is if the CBA turns down an offer or shifts control to someone else. Fat chance of that happening given the pork in this deal. Okay, qualifying offer. It's an offer to acquire CBA for a minimum of $22 per share during the first year of the agreement. The minimum bumps up to $23.25 a share in the second year and to $24.50 a share in the third year. The stock price was hovering around $14 before the new deal was announced, but finished the week above $20. Wall Street loves this deal. It's clear AB and the CBA have established a framework for a delayed buyout. That scenario seems well-suited to both parties. What's the timeline? The way the agreement is structured and the way certain internal CBA details line up, the pressure to acquire the CBA increases in each of the next three years. A finalized deal is likely by 2019, if not sooner. The elephant in the living room is this: Why did Anheuser-Busch agree to terms that are slanted so wildly in favor of the CBA? These are not reckless business people. They are accustomed to acquiring brands, squashing competition and winning. They like getting their way. Why so many concessions to the CBA? The answer is Kona. AB wants it and the CBA has it. In fact, Kona is the only CBA brand with broad potential. It will be the biggest fish in AB's kettle of craft fish due to its national and international appeal. 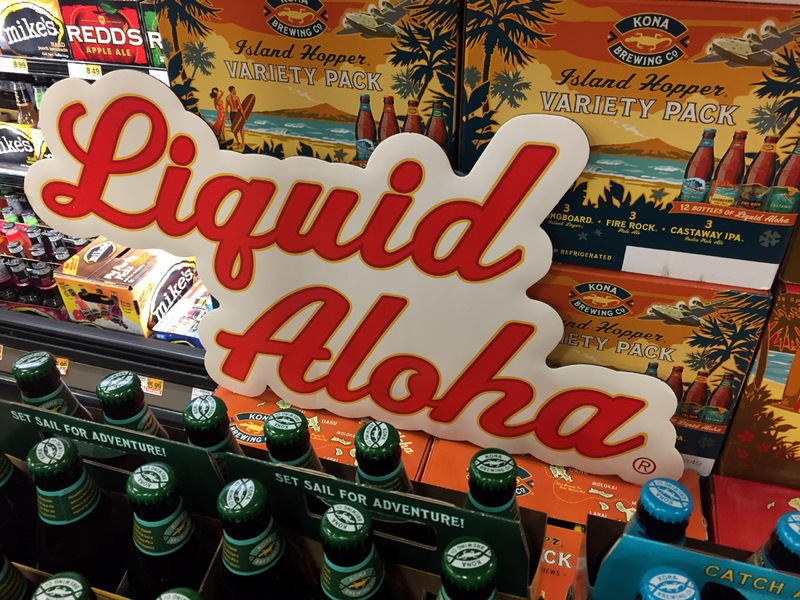 The big shots in St Louis and Brazil intend to market Kona against arch-rival Constellation's trio of Corona, Modelo and Ballast Point. For starters. The rest of the CBA portfolio is junk, by comparison, likely to be sold piece-by-piece once a buyout is finalized. Redhook, relegated to discount status, likely ends up with Pabst. What happens to Widmer? That's an open question. It might be reformed as a boutique brand known for unique and innovative beers. That can't happen under the current regime of corporate profiteers, but it might happen if AB sells the brand to the right person or group. What's the impact of the impending deal? Obviously, executives and big shareholders are going to rake in some serious cash. Past and present employees with stock or stock options will make some money. Some jobs will be lost after AB takes over and implements the cost-cutting initiatives it's famous for. But, then, you can't make an omelet without smashing a few eggs. The official passing of the CBA torch to Anheuser-Busch will have no significant or lasting impact among consumers. The CBA may or may not cease to exist. It won't matter since most knew it only vaguely via the brands it represented, brands that will henceforth be owned by big beer.